When you meander through online casinos or a brick-and-mortar casino, you will to a great extent be offered progressive games. We have correctly said “games”, for very often the term “progressive” is associated with slot machines, whereas in reality it can apply to many casino games. We have decided to dedicate an entire article to progressive games, more specifically to slot machines, for it’s an activity that extends more and more into casinos of all types: online and terrestrial. Together we are going to see what the term “progressive” involves and then we will look at the advantages and disadvantages of these systems. Progressive, what does that mean? The adjective “progressive” always refers to the jackpot. The jackpot by definition is what the player can win by playing. A one-armed bandit is said to be a slot with a progressive jackpot when the common pot that a player or players can win gets built up over time. To fully understand this term, nothing is better than to detail the operation of these machines. The progressive, how does it work? Let’s take the example of an online casino to illustrate this. An online casino offers slot machines. These slots released by a publisher can also be found in the offering of a casino which is completely independent, but which is associated with the same publisher. The publisher, then, with the agreement of casinos that want to participate, will integrate a machine into a single network. So that means that if you play in casino A, B or C on the same machine, you will be playing on the same network. Thus, the players who devote themselves to this machine are going to see a portion of each bet get routed to a common pot that is called the jackpot. 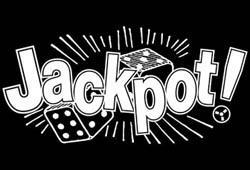 This jackpot is said to be progressive, since it accumulates with the bets of the players. Thus, you can imagine how a popular machine can rapidly see its jackpot grow to become enormous. And it’s a repeating cycle, for the more popular a machine is, the more its jackpot grows, the more players become attracted to it, the more money they bet, and the more the jackpot grows. Of course, we are speaking of slot machines, but this progressive system is adapted perfectly well to roulette, to blackjack and to video poker, for example. How is this jackpot won? Here, there is no secret. To win a progressive jackpot, it first of all takes a lot of luck, for the players are numerous and so for it to fall to you, your good fortune has to be around. Thereafter, technically to win the common pot, there is only one possible solution: one must constantly play the maximum bet. And it is simply in making these substantial bets that you will perhaps hit the strongest combination regardless of the game, and then see your life change. Let’s start with the drawbacks, for in reality they are not numerous. For that matter, there is only a single one: it’s the fact of having to wager the maximum on each turn. It’s true that for the majority of players who have a limited budget, the fact of having always to bet the utmost, often tens or even hundreds of euros per turn, is very restrictive. So don’t then be overzealous but play on a machine that suits you. If the progressive jackpot is too costly for you to take down, don’t persist with it, as you will run the risk of no longer having fun. The advantage of progressive jackpots, it is evidently for the player to win an amount that greatly exceeds his wildest dreams. Certain very popular machines have already reached as high as thousands, even millions, of euros for the victor. So while it’s true, all the same, that one has to play pretty well in order to have a chance to win such amounts, be aware that, statistically speaking, you have a greater chance of winning with progressives than of winning the Lottery.